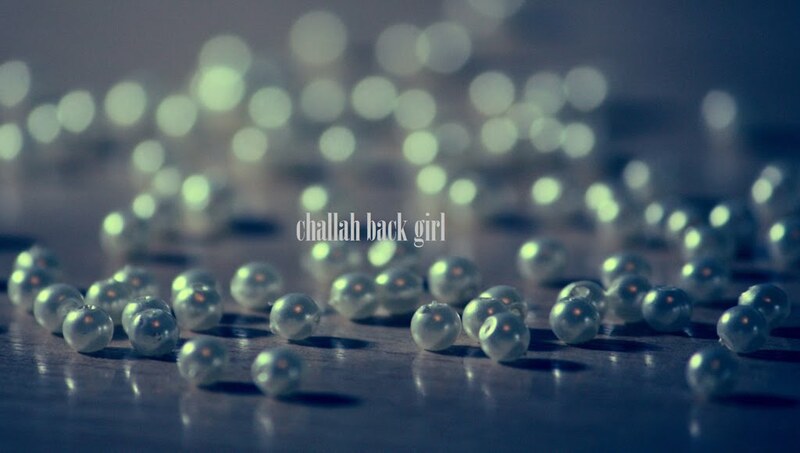 challah back girl: I Don't CY. I've been wondering recently why the self-discipline that allows me to keep kosher throughout the year and avoid anything leavened like the plague during Pesach doesn't carry over into resisting the sweets that I have such a weakness for. I even caught myself wishing that there could be some kind of rabbinical ban that would help a girl out--and then I realized that there sort of already is: Cholov Yisrael. As I was converted by one of the primary students of R Moshe Feinstein, z"tl, and I have heard many wonderful stories about him, he is someone whom I attempt to emulate (emphasis on attempt). If such a tzaddik trusted in the USDA, who am I to doubt them? Still, I can't help but think of all of the corruption within federal agencies that has been revealed via the media, which I'm quite sure is only the tip of the iceberg. And to add to my confusion, I cannot deny that I'm not exactly coming to the CY table with admirable motives. I'm not striving to further my bond with my fellow Jews, or to erect a fence around the Torah; I'm really just trying to put an obstacle course between Reese's Peanut Butter Cups and my mouth, for purely superficial reasons. Is this an acceptable rationale to take on a stringency? I'm interested in hearing different perspectives on this issue, and why anyone has or has not taken on Cholov Yisrael. Until I can make up my mind-slash-be convinced, I'll be hanging with my boys Ben & Jerry (Mmmmm). I understand, girlfriend. I too have deep thoughts about them peanut butter cups. I always find it so interesting to hear where people stand on CY! The family I babysit for (my first exposure to frumkeit) are BT, and do not keep CY. I know several (mostly, but not all, Chabad) families who do. I love milk. LOVE it. I will drink it by the gallon. Cheese. Ice cream. If it's dairy, you name it, I have fleish(ig)-phobia because I will be standing at my fridge at midnight eating it. I know there are a whole load of issues around me not taking on CY right now (I will tongue-in-cheek say that Oreos are reason enough..!). Partly because to buy the cartons of milk itself is SO expensive that I genuinely can't afford it, let alone replacing my chalavi cookware (which is all non-CY, most of which has been inherited from [Ima-extraordinaire] of the family I babysit for). I'm subscribed to our local Jewish community email list-serv, and a little while ago there was some major back-and-forth about whether not keeping CY was a hetter, whether CY itself was halacha, and if so, why isn't everyone keeping it, or whether it's chumra and if you're holding youself to that standard then surely you should be at a higher standard of everyone else in yiddishkeit. It was definitely a heated and interesting discussion!! If a baal teshuvah asked me my advice about taking on CY, I'd advise not to. It's an extra, non-essential barrier between him and his non-observant family. I don't follow this phrase "let alone replacing my chalavi cookware (which is all non-CY)." Many, many people who are careful about CY will use dishes that were used for non-CY. Oh, BTW, Oreos, although they are OU-D, do not have milk. :-) Thanks, Ruchi. (I love your blog too, BTW!). 2) Under most circumstances, Cholov Yisroel is not optional. Rav Moshe Feinstein ZT"L, in a letter to a Rabbi Weinfeld in Monsey, printed in "Hilchos Kashrus" by Rabbi B. Forst of Far Rockaway, explained what he meant with his "heter" for cholov stam. Rav Moshe himself, in two places - a letter that was first published NOT in Igros Moshe, but in other places (most notably Rabbi Binyonim Forst's Pischei Halachah) and the latest Igros Moshe, printed a few years ago, Rav Moshe himself interprets what he means - and he states clearly that he means you cannot drink Cholov Stam unless its a shas hadchak. In two places Rav Moshe explains what he means by baal nefesh yachmir. In the last chelek of Igros Moshe he explains that he only permits cholov stam "basha hadchak" - under dire circumstances. But if cholov yisroel is available - and elsewhere he says that means even if it available at a bit of a greater expense or difficulty - you should not use his heter for cholov stam, but must drink cholov yisroel. However, Rav Moshe ZTL throws a wrench into the works because he adds to the above that "nevertheless, a baal nefesh ("spiritual person") should be stringent." Many have taken this to mean that Rav Moshe ZTL believes cholov yisroel to be only a chumrah, or a "good hanhagah", binding only on extra special people. But Rav Moshe ZTL himself was asked what this means, and he responded in writing, to Rabbi Weinfeld ZTL of Monsey. The letter has been printed in both Rav Moshe's handwriting and plain text in numerous places. The easiest place for you to see it is probably Rabbi Binyomin Forst's "Hilchos Kashrus", in the back of the sefer. Rav Moshe writes clearly that it is totally improper for someone who has cholov yisroel available to rely on the milk of the companies, even if the cholov yisroel is somewhat more expensive and more difficult to acquire. The heter was designed, he says, for people with no access to cholov yisroel. And that's just Rav Moshe's position. Other Rabbonim have disagreed with the entire heter of Rav Moshe altogether (a godol of the previous generation, when asked what he thought of Rav Moshe's heter, replied, "You give me $20 and I'll give you 4 inspectors"). See also Igros Moshe YD IV:5 where he also states clearly that his heter was only meant b'shas hadchak and not across the board. So Rav Moshe's position is clear. And since Rav Moshe himself says that his heter is only operational under difficult circumstances, those who eat Hershey's, or other cholov stam, not under difficult circumstances should change their practice. Rav Moshe ZTL himself was asked what he means, and he responded in writing, to Rabbi Weinfeld ZTL of Monsey. The letter has been printed in both Rav Moshe's handwriting and plain text in numerous places. The easiest place for you to see it is probably Rabbi Binyomin Forst's "Hilchos Kashrus", in the back of the sefer. Not having chocolate bars to snack on does not constitute a shaas hadchak. You clearly don't have a clue about Rav Moshe's heter b/c even one of his sons only started keeping cholov yisroel a few years ago when his family pressured him to start keeping it. He knows his father shita much better than you do. ***Rav Moshe ZTL himself*** was asked what he means, and he responded in writing, to Rabbi Weinfeld ZTL of Monsey. The letter has been printed in both Rav Moshe's handwriting and plain text in numerous places. The easiest place for you to see it is probably Rabbi Binyomin Forst's "Hilchos Kashrus", in the back of the sefer. The beauty of keeping kosher is a blessing. I particularly appreciate it when a co worker or friend brings me a drink, a snack or a treat, and makes sure to point out to me that it is kosher, so yes, I can eat it. Being the only orthodox Jew where I live, I am glad my friends are courteous enough to respect my dietary rules. But this whole cy thing is ridiculous to me. Kosher is kosher. I, for one, just want to be a good example to others, who do not know people like me. It is ridiculous exactly for the reason clearly stated. Kosher is kosher. Milk has always been kosher. Why the change in status in recent years? That is not disrespectful of anyone. On the website "topsecretrecipies" there is a fabulous recipe for Reese's peanut butter cups. I went Chalav Yisrael while back and have found them to be close to the real thing! so many opinions on this topic !!!! I enjoyed this blog post -- i grew up in a house eating Hersheys, and Carvel Ice Cream (OMG YUM) but i went to Chabad schools all my life and married a Chabad guy who's family is strict with these things. I wont get into the argument of what Reb Moshe said / didnt say ... what he meant / didnt mean. The only thing that bothers me about this issue is that its treated as "treif." I understand that people have Chumras, are more machmir... but i get very bothered when someone will point out that a Hershey's bar is "treif" as opposed to just something your family doesnt eat. For example (i know its not an exact match but just to illustrate my point). My in laws wont eat Empire Chicken... they only eat Lubavitch meat... but empire chicken isnt treif - its merely something they dont eat, they hold to a different / higher standard. Like i said - i know the moshul isnt perfect... but the fact is that the Oreo cookies or the Reese's or the Nestles Crunch Bar OR the Ben and JErrys -- its HAS an OU symbol on it. Last i checked, that meant it was Kosher. Maybe your family doesnt eat it - and thats ok - but that doesnt mean that im eating something "not kosher"
for those Ben and Jerry lovers --- Chubby Hubby is the BEST !!!!!!! If the Rebbe were alive today he would weep. All the Lubavitch Rebbe wanted was to bring Jews together. Cholov Yisrael has created the great divide in Orthodox Judisam. If I go through the members of my local Chabad, I can clearly make a list of the ones who will eat at my kosher home and the CY ones who won't. Chabad made the edict that all Chabads and its Emissaries must keep Cholov Yisrael and that OUD was no longer good enough. I wouldn't care if anyone kept CY if they could still eat in a regular OUD kosher home and we could all come together and share simchas at each others homes. But as it stands now, it's the CY's vs. All the rest of us. Even our Chabad Rabbi said that "CY isn't meant for mainstream kosher keepers. It is cost prohibitive for the average family and also they can't make enough CY to supply all the Jews who keep kosher." Some things are even OU Parave and they still can't have some of those, because Chabad says they have to buy the Kedem brand. Something is fishy and it isn't Gefilte.